You must make reservations at least 5 minutes in advance of the time at Felice 15 Gold Street. There are a number of garages within a block of Felice as well as valet service provided by Gild Hall, the Hotel in which we are located. C, E, J, M, Z, 2, 3, 4, 5 & 6 trains to Fulton Street or Broadway/Nassau. 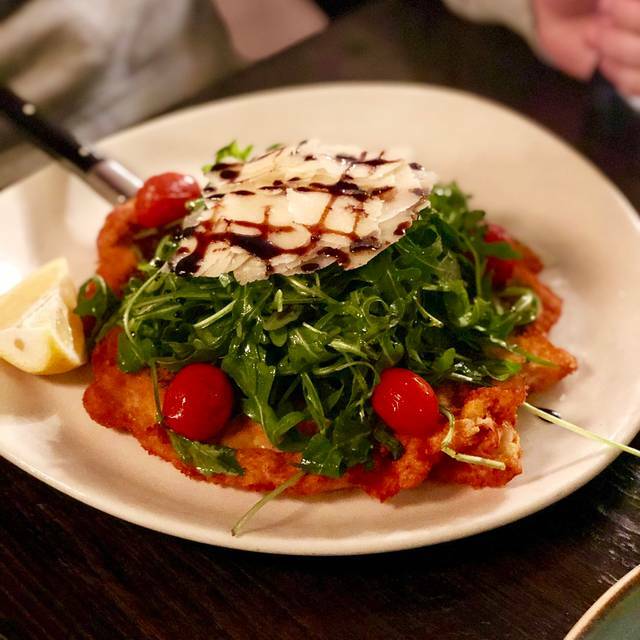 FELICE, the ultimate Tuscan Restaurant and wine bar, already in two locations on the Upper East Side in NYC, is now venturing down to the Financial District. 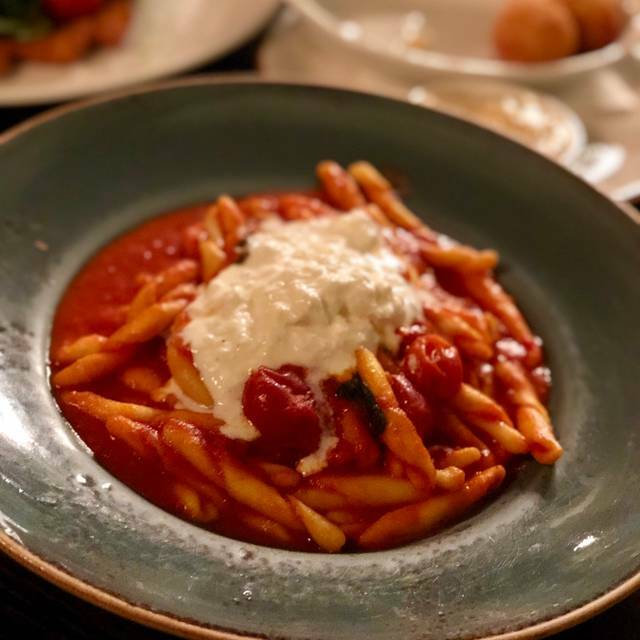 Opening in Gild Hall, a Thompson Hotel, 15 Gold Street will introduce authentic Italian classics and the family’s namesake wines to the Wall Street community in its intimate 40-seat restaurant and the upstairs called La Soffitta is open for larger parties and private events. 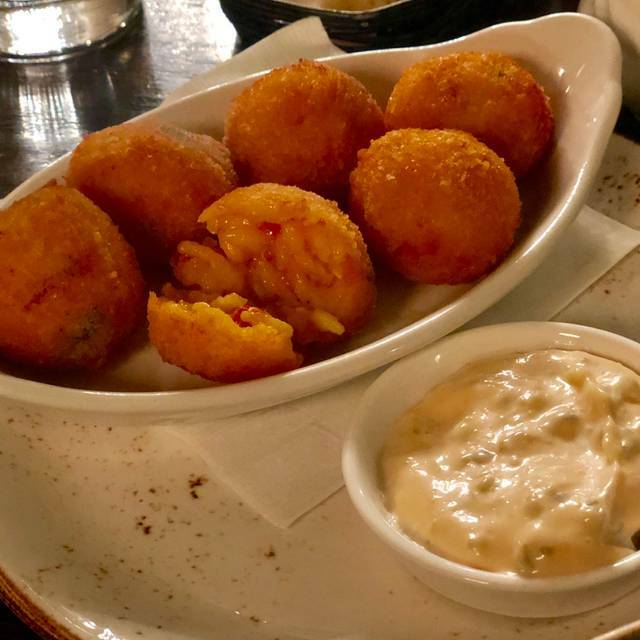 This successful restaurant is already a favorite uptown, amongst local clientele, wine lovers and serious foodies alike. 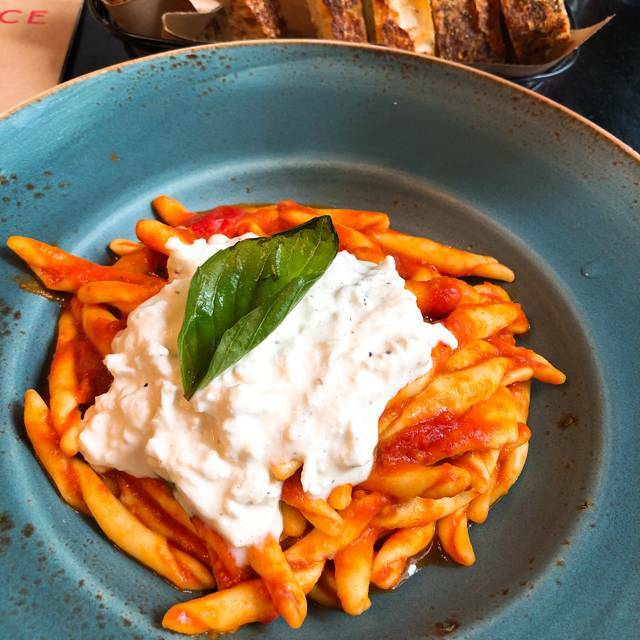 Felice is our go to in the neighborhood. Very attractive decor, with library accent in wine bar/extended dining room. Great value and portions. Usually we go for lunch and now we are doing breakfast meetings once a week. Great Americano,; provides hot milk on request. No skim for latte. Everything delicious, except the frittata was undercooked but they took that off the bill. Last minute, low key date night and I think we picked a great place for it. The food and service was great. I don't know if the place is associated with or within a hotel, because the bill said we could room charge it, but that doesn't change the fact that it was a lovely place for a weeknight dinner. The place was filled with families, couples colleagues and friends at 6:30pm on a Monday. The hostess greeted us and we sat right away with reservations. Although I'm sure they were unnecessary. The bar area was not crowded. We were very satisfied sharing one appetizer, a baked eggplant (highly recommend) and two pasta mains. I was lost with a somewhat large diverse Italian wine menu. Our attentive but unintrusive server suggested a red, Barbara D'asti sold by the glass. It was perfect and delicious. 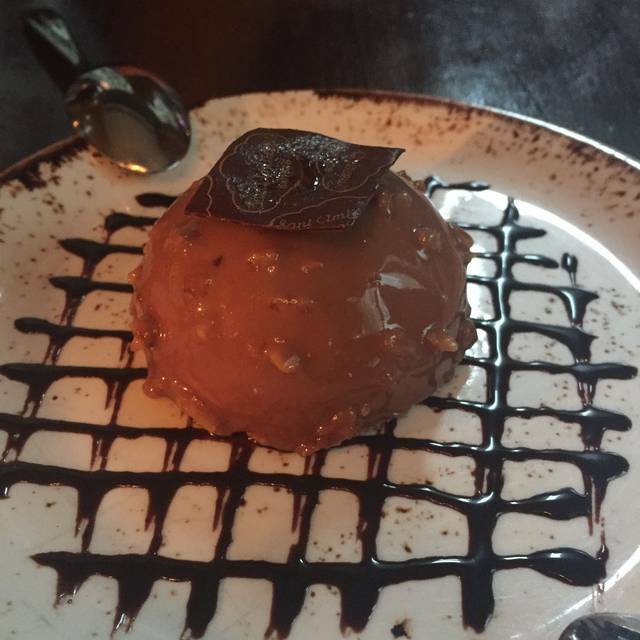 We were too stuffed to have dessert but the menu looks delicious and so I hope to go back hungry again. Felice was in our hotel - space is small so noise level was pretty high - food was interesting and very well prepared. They also have a charming little bar! Excellent service- love the hotel Gild Hall and Felice! Old school service with great classics with a tweak of updates, excellent Italian wine list. We enjoyed this restaurant. Warm and friendly. I had mushroom soup special, very good, and DH had meatballs. Win-win. Then I had lasagna and DH had veal cutlets. He thought he won, but I think he was wrong. Gelato for dessert, always a win. Tried their house vineyard red, I liked it. I recommend this restaurant! Food and ambiance were fantastic. Will definitely be coming back. Hostess was lovely and accommodating as were the waitstaff. Food was very good. Only complaint was although they have a chalkboard outside advertising “Happy Hour 4-7” bartender informed us only Monday to Friday. I didn’t think that was acceptable although we didn’t complain. Felice is consistently great. I hesitate to write the review because I like being able to get a table pretty easily. We took my sister in law and husband from Florida. They were missing great Italian and had been to Italy a month ago. They had their doubts but ended up loving the entire meal from arancini to the princess cake. Great little place serving good food. Service was pleasant and appeared when required. Would highly recommend. I am so glad to have tried this restaurant. 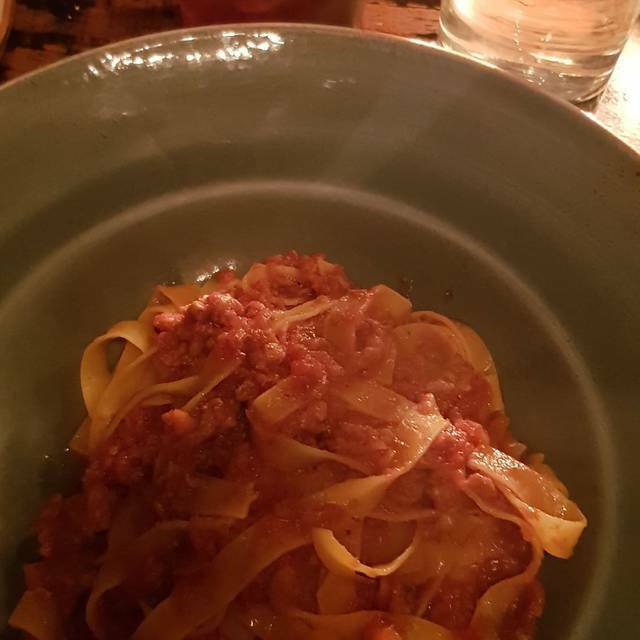 It was a perfect restaurant to catch up with friends - great atmosphere (not too loud), perfect al dente pasta, and great service! Everything was great and I will definitely visit Felice 15 in the future again. Amazing food. Great place for a date. Found the restaurant on Open Table near our hotel. Enjoyed a lovely meal. Both of us ordered the Lasagna and my favorite part was that it was served piping hot. It was also delicious! Amazing ambience, the servers were very friendly and carefully explained the menu to us non Italian patrons. We had really great meal in a lovely restaurant. A calm and enjoyable ambiance. Everything was good. 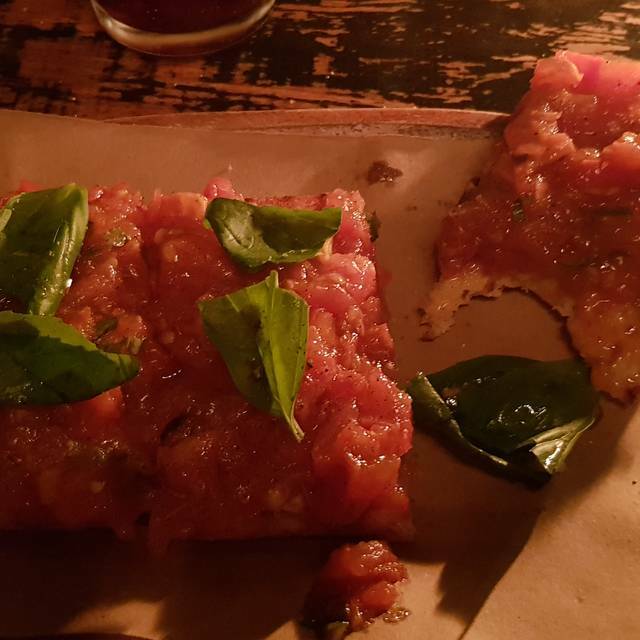 The bruschetta was excellent, so were the two plates of pasta we took. Good service as well. We were four friends/colleagues celebrating the birthday of one of us. We've been to Felice before. We love it. We all got the prix fixe lunch. What a bargain. The portions are very generous. One friend had intended to pack up part of her main course to take home to her husband, but it was so good that she couldn't stop eating it. 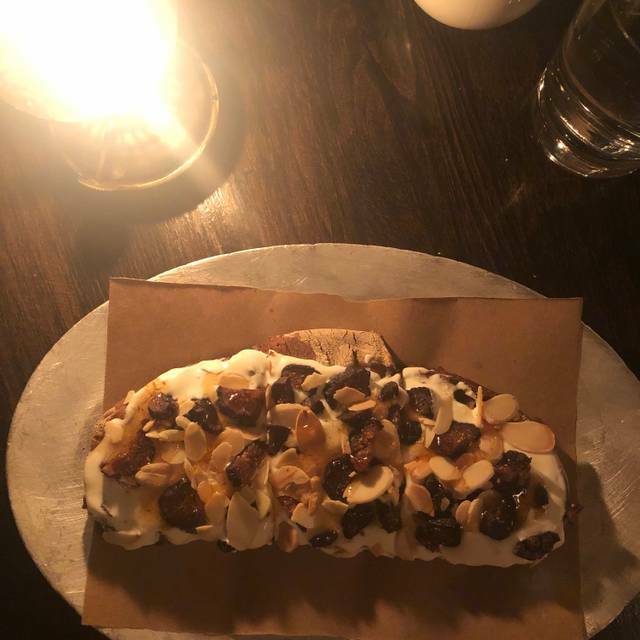 The waiter brought a plate of assorted cookies with a candle with our other desserts, making the meal even more festive. The wait staff and hostess were friendly and attentive, but never annoyingly so. We asked to be seated where we could hear ourselves talk. We sat to the right of the entry and had no problem at all. I've been seated in other places in the restaurant and noise has not been a problem in any of them. Everything was perfect. We all look forward to going back again. The restaurant adjoins a hotel, which seems just fine. Menu and food are excellent with reasonable pricing. From what I gathered pastas are the specialty. 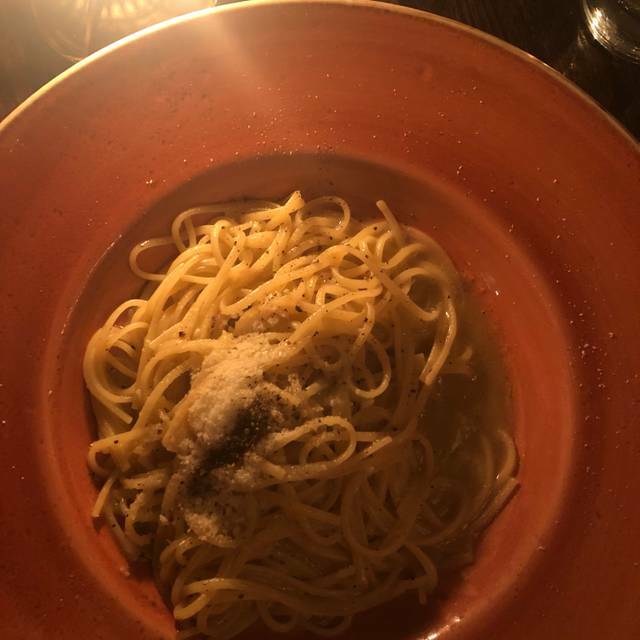 They were served with correct level of cooking, al dente. Overall an excellent experience, customer centric. Hosted a business dinner at Felice this week. The food was outstanding. We shared the bruschetta, chicken milanese and the cecie peppe pasta. All were very tasty and it was a generous portion for the table. The wait staff was a bit standoffish, but the food carried the evening. Wonderful little gem in the financial district. Service was incredible. Food was delicious. Thanks for a great night! It was an incredible experience. Went with my friends after work for a birthday dinner. This was supposed to be just a quick dinner. Five hours later, we were still there having a wonderful time. We weren’t rushed. Our waiter was absolutely amazing! Food was delicious. Drinks were yummy as well. Overall, a great place. Excellent, quiet and nice spot to spend valentine’s day! Delicious, authentic Italian food in a beautiful space. Food was good. Service could be better, but I'll attribute it to restaurant week. I made reservations online via Opentable for that day. Got a call within 2 hours to confirm . I get to restaurant, I'm not listed, but assured I'll get next available. Ended being seated 10 minutes later, which when on a lunch break from work can be overwhelming. Finally seated, get service within 10 minutes. When 1st course comes, half the order incorrect. So have to wait another 10 minutes for the correct order and it wasn't as hot as it should be, possibly waiting to be served. Mind you, on a lunch break, so had to eat quickly to not delay entree. Unfortunately, I am observant of surroundings and noticed everyone else is being served according even those that came after I was seated and ordered. I had to ask for oil for my table when every other table had one for their bread. Had to ask for water to be refilled, when everyone else was being served without asking. Again, I may attribute my not so great experience with it being restaurant week, but I am truly disappointed and wished I was better taken care of. Great little FiDi find. Excellent cacio e pepe and the lasagna was incredible. Very nice wine selection. A little slow to get our check, but a delightful experience overall. Amazing spot for everyday dining, special occasion, date and so on. The food is extremely delicious and the house wine is a must go order. Make sure you order their rice balls and pasta! This was our first time here. We went for NYC Restaurant week. Normally the portions during this promotion are smaller BUT Felice's offerings were not. My wife could barely finish her entree and we both just dabbled on the dessert we were so full. Great service, excellent portions. A definite place to return to even off restaurant week. Food was cold in more than occasion, service is great and they took care of a few items to compensate. An absolutely beautiful experience, wouldn’t change a thing. Kept waiting over 30 minutes. Forgot it was a birthday. Responded nicely when they were reminded.